Propane has a strong, unpleasant smell like rotten eggs, a skunk’s spray, or a dead animal. Propane manufacturers add the smell deliberately to help alert customers to propane leaks, which can create a safety hazard. Teach everyone in your home or building what propane smells like. To comply with insurance requirements, this is to inform you of our policy for servicing customers who run out of gas. We are in business to service you and provide a safe working environment for our employees. Unfortunately, we realize there may be times when you unexpectedly run out of gas. This can create an unsafe environment for both you and our delivery drivers. At this time if you run out of gas we MUST do a safety inspection. In addition, our drivers are in your area at least once a week to maximize their efficiency and minimize operating costs, which keeps our gas costs to our customers competitive. However we will be charging a $45.00 service fee to come out and do a safety inspection if you run out of gas. Again we hate to do this but it takes time out of our busy schedule to do an inspection so take just a few minutes out of yours and check your tank. It is imperative you are at home so we can check the entire gas system for leaks and light all pilots. IF we arrive and NO ONE IS HOME, and find your tank is empty, WE WILL NOT FILL YOUR TANK. The driver will leave an “Out of Gas” tag instructing you to call us. As a friendly reminder, in order to avoid running out – always order your next delivery when your tank reaches 30%, this will allow seven (7) days for scheduling. Delivery requests can be made after business hours with our answering service. Be sure to leave name, address, telephone number, amount of gallons (100 gallon minimum) – and if prepay– verify payment is under the lid. 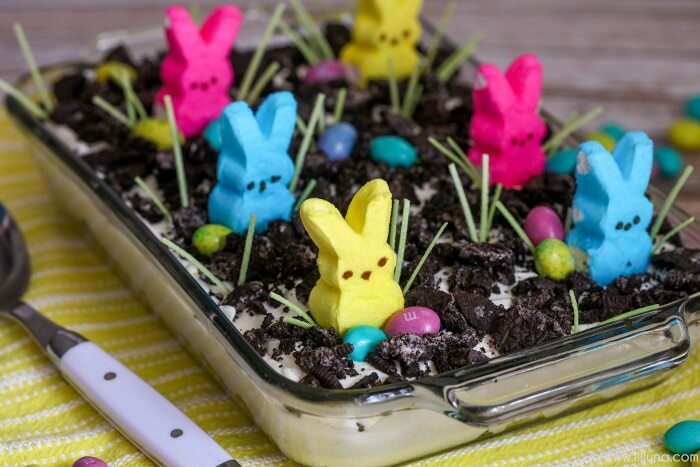 Easter Oreo Dirt Cake - a creamy and delicious Easter dessert filled with oreos, pudding, cool whip, cream cheese, and powdered sugar that everyone will love to decorate and eat! Right before serving, top with bunny Peeps, edible grass and Candy Easter Eggs.